I had a very hard time trying to write this little sermon. Don't get me wrong, I love being trans. I love challenging gender norms, I love playing with my appearance, I love getting to play at being tall and maybe beautiful and definitely rebellious against a toxic system of power based on gender and racism and wealth and violence and a hundred thousand other things. I love living into the freedom of being a human, I love knowing the reality of transformation, of ambiguity, and of fluidity. I love the brilliant, fascinating, brave trans people I have met out in the world, who have been a more incredible blessing to me that I could have ever imagined. But writing this sermon worried me. I was terrified that in celebrating I might be white washing the terrible problem that face my people. One opening I considered was "WOOHOO EVERYBODY! The rate of prevalence of HIV among trans women hasn't grown as fast this year so far! Wooo! Maybe in a few cases trans women of color are being imprisoned at slightly less obscene and outrageous rates!" I thought of unemployment and street violence and estrangement from family and addiction and homelessness and the ways in which trans women are not always wholly welcomed into the LGBTQ community and the marginalization of people of color in our community and all the other plagues trans folks suffer and I felt crushed and hopeless. Then on Thursday I learned a family member's cancer, after several months of chemo treatment was found by new hospital tests to be in nearly full remission at the moment. Back in the fall he learned that he had a metastasized cancer that had already spread to vital organs and that his life expectancy was reduced to a few months. I did not allow myself to hope. I tried to come to terms with a God who would not move, who for some reason, some unknowable, probably celestially good reason, would let this person who I love, who I do not know how I could do without, die far too soon. Thurday’s news is not without its caveats. Clinical trial evidence for the chemo drug he is on shows that the cancer can return. All of this must remain a matter of prayer. And perhaps Thursday’s news means only that he was only the tiny tip of a massive bell curve, the winner of some biological lottery, but for me, I have no language to talk about this but as a miracle, the work of Christ in the world, a sign of Christ's irresponsible and promiscuous love. I am knocked flat. I am swimming in a flood. The world is shifted under my feet. What I celebrate today is that trans people will overcome our challenges. Trans people and those that love us will do the hard and painful work to overcome these problems that plague our communities, that harm us. I don't care how bad the situation looks, I don't care how unlikely it is that we will succeed. When it becomes apparent, obvious that there is nothing we can do, that we are clearly beaten, there will still be God, creator, redeemer, sustainer, who is lifting up the lowly, who is pulling the mighty down from their throws, who feeds the hungry and sends the rich away empty. It may be unlikely, but it will be done. I celebrate that despite there being a world of forces against us, despite those forces doing true and terrible harm, that in our respect and love and frank need for one another and God's love and need for us, that we shall overcome! TransEpiscopal supports the work of the task force and is proud that its co-convener Reverend Dr. Cameron Partridge has been nominated to it, along with past IntegrityUSA president the Reverend Canon Susan Russell. Transfiguration greetings from inside the cloud. I say this not simply because of the fog that envelopes us here in Cambridge as rain melts our record snowfall, not only because of the in-between place this diocese has entered in the wake of our bishop’s retirement announcement, or even in honor of the strange possibility that, as this article explains, "a new Archbishop of Canterbury and a new Pope may be enthroned in the same month." I say this inspired by Luke’s unique observation that all of those present on the transfiguration mount were not only “overshadowed” by a cloud but actually, terrifyingly, “entered into it” (Lk 9:34). In some way, Luke seems to do more with the Transfiguration, to link the very paschal mystery to it, and to make that mystery accessible to his readers—to all of us. In the hands of Luke, all of us are delivered into the mysterious liberation that is transfiguration. This cloud-envelopment is not the only unique gift brought to us by the Year C in our liturgical/lectionary rotation. Only Luke, among the synoptic witnesses, gives us a window onto the summit conversation between Jesus, Moses and Elijah. All three accounts tell us that Peter, John and James see these towering figures of the Law and the Prophets. But Luke alone explains that “they appeared in glory” and, most importantly, that “they were speaking of [Jesus’] departure which he was about to accomplish at Jerusalem.” The term for departure is ἔξοδον, a word that evokes the Exodus of the Israelites from their Egyptian captivity. Already the gospel story draws upon Moses’ shining encounter, as our first reading reminds us. But Luke’s window onto Jesus’ mountaintop discourse gives us more on which to chew. Jesus was about to embody Exodus. Think about what that might mean. Think of what we know about the journey that lay before him: the downward slope into Jerusalem, the crucifixion, the resurrection and ascension. The shorthand Luke uses for this, the frame through which he wants us to read it is ἔξοδον. It is liberation from oppression. It is the transformation of an individual body—suffering and death followed by resurrection life—as the transformation of a collective body. Does this relationship of collective to individual embodiment not shift how you might read Jesus’ words of agency? Do you not hear the notion of “accomplishing” this paschal mystery in a different way? It is not simply a matter of deciding to suffer and to die (which, of course, is not simple in and of itself). This “accomplishment” is about the exodus of a people, or as Paul puts it in our reading from 2 Corinthians, freedom, which flows out from “the Spirit of the Lord” (2 Cor 3:18). 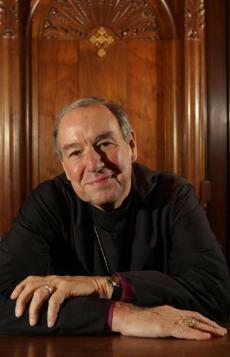 Both in written reflection and in iconic depiction, the Christian East has long honored the Metamorphosis (as it is often called, after the term with which Matthew and Mark describe Jesus’ transformation), and has seen in it a deep connection to the mystery of Easter itself. Transfiguration is not only something that happened to Jesus on Mount Tabor, as our unnamed peak is often called. It is also the effect of resurrection power in our lives here and now, as well as at the end of all things, when that power will lift us up from the grave. Transfiguration is the transformation “from glory into glory” to which Paul speaks in this breathtaking vision: “all of us, with unveiled faces, seeing the glory of the Lord as though reflected in a mirror, are being transformed into the same image from one degree of glory to another” (2 Cor 3:18). This is not an effect reserved for the end. It is with us now. It is why, “we do not lose heart” as we carry forward in our ministries (2 Cor 4:1). The present, pervasive reality of transfiguration allows us to discern the holy in this cloud in which we stand. 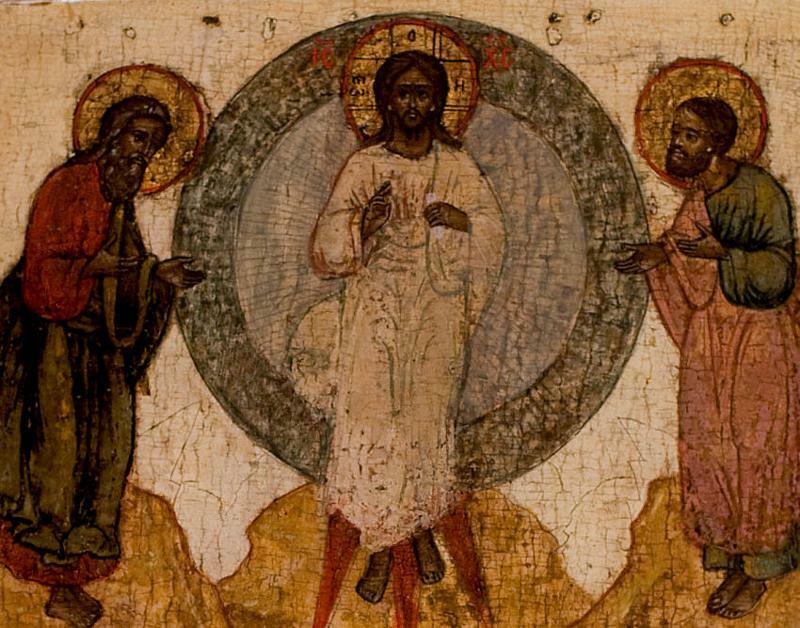 The idea that to be transfigured is to be changed, to be transformed, to be metamorphosed first drew me to the theology of transfiguration-- as someone who has transitioned, this spoke powerfully to me. The complexity of my gender identity also gave me a particular appreciation for its liminal placement in the liturgical year. But surely I am not alone in my love of the uniquely clear way in which the transfiguration (and more specifically Transfiguration Sunday, placed here, at the threshold of Epiphany and Lent) makes the heart of the gospel-- the good news of God’s transforming, healing, reconciling work -- available to us, a prism through which to see our own lives as in some way part of this larger collection, these stories of salvation history. This combination of liminality and transformation should prompt us to see not only the obviously-set-apart places, the mountaintop locales, but also the more mundane interstices, the in-between spaces of our lives, as places of transfiguration. These thresholds can be temporal, spatial or both. Perhaps we might look afresh at the context of divinity school and of the university more broadly. This context is a crucible—as you surely don’t need me to tell you—a space of intensive formation, and which carries to some degree the anxiety of next-steps, both for students and for faculty and staff. And so I want to invite us all to consider here and now, in this peculiar perch: What is the ἔξοδον you are about to accomplish, or rather, that God is about to accomplish in you? How are you being called to embody the paschal mystery in all its incorporation of death and new life? Stand on this verge today and know that by virtue of your membership in the body of Christ, you too are being transfigured. You, dear friends, are caught up in the mystery of metamorphosis, you are poised to leap up from the sacramental waters of your baptism. In the least likely spaces of your life, you are being “changed from glory into glory,” invited to grow like the engrafted olive shoot you are into the very heart of the living God. The death Christ died and the resurrection life through which creation itself was recast—these fundamental tenets of our faith our not mental exercises, but spiritual realities with deeply concrete implications. As we move toward the dust-filled return of Ash Wednesday and the wilderness territory of Lent, think on this mystery. Luke’s vision of the Transfiguration frames our entry into Lent and Easter like no other gospel. To be sure, the placement of this day at the end of the season of Epiphany, as the bookend to Jesus’ baptism (another iconic favorite in Eastern Christianity) works similarly in all three years of our lectionary. Transfiguration stands as the mandorla, the holy hinge on which the cycles of Incarnation and Pascha swing into one another. But Luke’s version alone gives us a prism through which to read the paschal mystery itself. Luke alone truly uses Transfiguration as the key for interpreting the cross and the empty tomb. Luke alone refracts our very body/ies through the lens of Exodus (for an Easter preview, see Luke 24:1-12). And so again I ask you, what is the ἔξοδον that God is seeking to accomplish in you? How are you being called to embody the liberation that is the Paschal Mystery? Amen.